Hy-Vee operates more than 220 grocery and retail stores in the Midwest. My work for Hy-Vee included development of original private-label name and identity, packaging, copy and materials for basic grocery and retail products. Whether it involved trademarking original brands, developing, editing or proofreading packaging copy, inspecting barcodes and nutrition-panel specs, pouring orange juice into a glass from the top of a step ladder to get the perfect splash; puppy-sitting before a pet food photo-shoot; or sampling leftover cake, pie, chips or salsa ... the results had all the ingredients for retail marketing success. Proofreading and editing packages for a variety of food and grocery items. 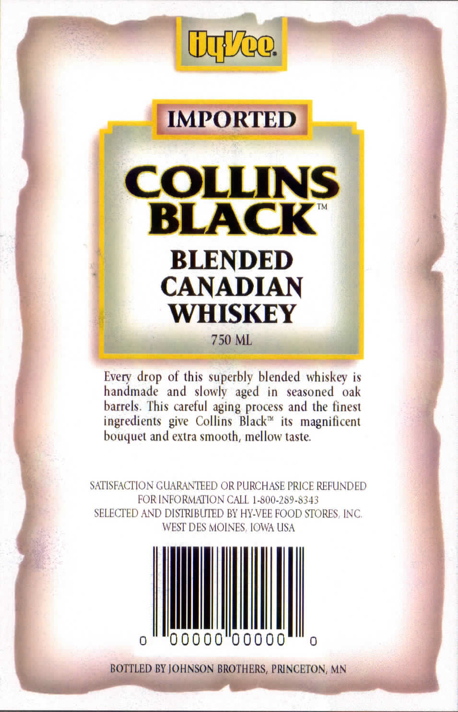 Private-label name development for Collins-Black and other product lines. Page is under construction. Additional products coming soon.